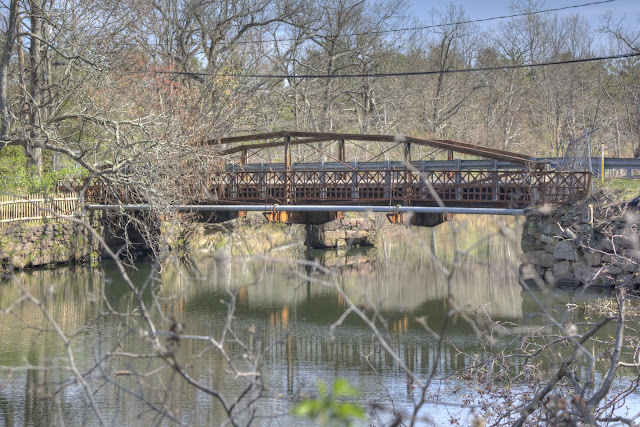 This one's a local bridge -- it's right down the road, yet I'd never heard of it until today, when I ran across it while photographing the Talcottville Mill. It crosses the Tankerhoosen River just above a dam on Talcottville's Main Street. It's a pony truss bridge made, presumably, of iron. The historic bridge site says this bridge was built by the famous Berlin Iron Bridge Company, and is the only pony truss bridge where the truss members actually bear the weight of cars crossing the bridge. A pony truss bridge, by the way, is one with no trusses connecting the sides along the top. I was in my car, since I was coming back from a photography trip up in Shenipsit State Park, but this is a bridge that needs my bicycle on it. This mill was the center of Talcottville for decades. 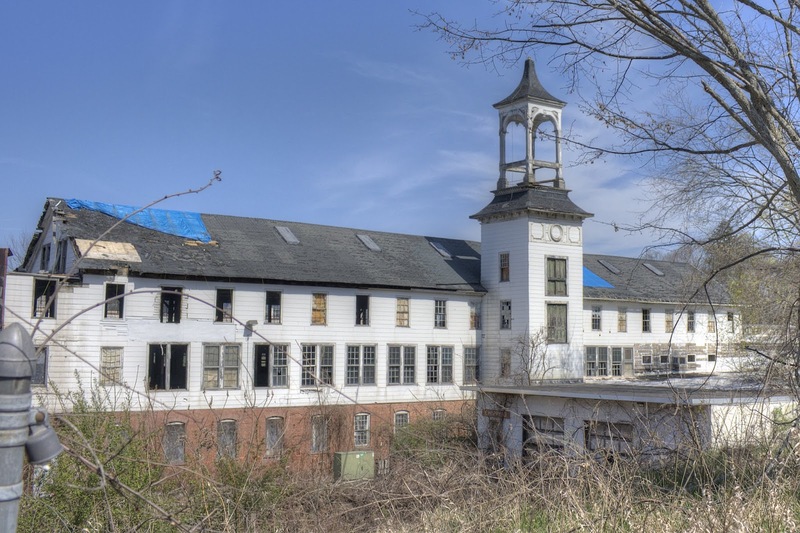 The Talcott brothers had bought the mill and the surrounding lands from Nathaniel Kellogg, who had named the area Kelloggville. No shortage of ego on either side, there. The Talcott brothers built twin homes across the street on hills, overlooking the mill. The mill remained active in some form through the 20th century, though it is all entirely abandoned now. You can (and should!) read more about Talcottville's historic legacy, as the story it tells is repeated, with minor variations, throughout the northeast. Talcottville today is a historic district within Vernon, CT, and signs along the few roads point out and explain the historic significance of the mill and other relics of an elder age.